These labels are quite convenient because we do not have to hand write our return address on envelopes. The label indicates to me that one has a warm and friendly home! 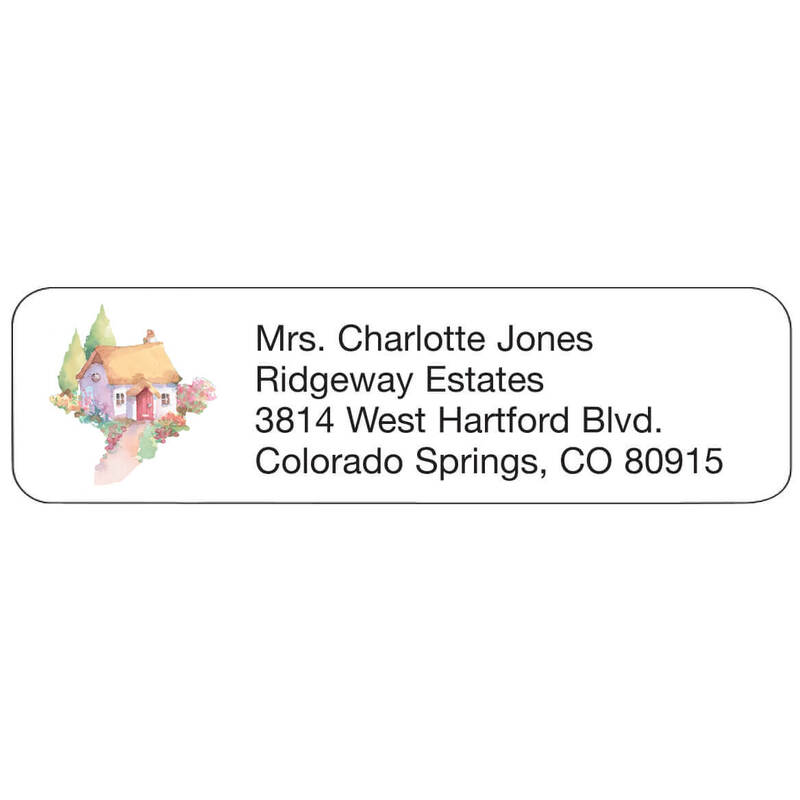 Ordered these Cottage Labels to notify our Friends of our new Summer Retreat Address. Our home is just like a cottage so it represents my home. Because I needed some and liked the design and the "peel and stick" feature. The cottage looked like our cottage. Walter Drake labels have always been of high quality and prompt shipping.